SacMod’s 2012 celebration of the Roush Residence: A unique 1954 MCM home designed by Terry Waters, a Taliesin Fellow with Frank Lloyd Wright, long-time colleague and friend of renowned modernist John Lautner, and apprentice with desert modernist Walter S. White. 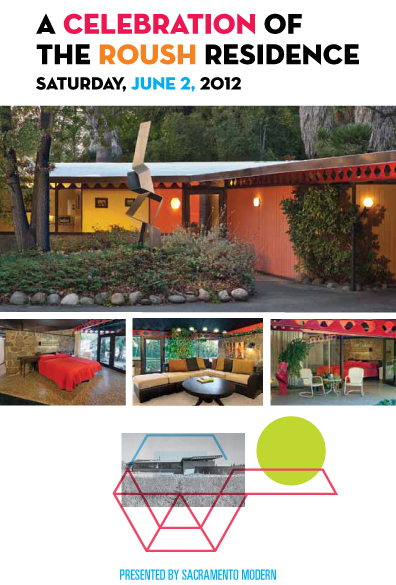 Brochure is 12 pages of research and information about the home, ephemera and advertisements both old and new. 5.5″ x 8.5″, stapled softcover brochure.